Social media has become a vital business communication tactic in the B2B marketer’s toolset. But because trends in social media marketing are always changing, the tactics that worked six months ago may no longer yield positive results. 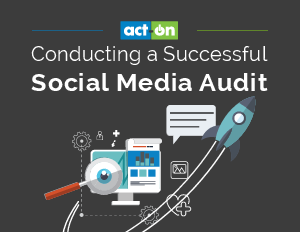 Enter – the social media audit – the perfect tool to help your company see what’s working and what’s not with your social media strategy. In this informative eBook, you will learn how to implement best practices to effectively generate leads and drive revenue for your company through social media.